The train crash in the Bronx, which killed three people from the Hudson Valley, prompted the review. Not too long ago, Metro-North consistently ranked among the world's most-admired commuter railroads. But suddenly -- within the last year -- its 30-year reputation for safety has disastrously jumped the tracks. The primary reason is a horrific run of accidents. There was the crackup Dec. 1, when a train on the Hudson line screamed into a notoriously dangerous curve at Spuyten Duyvil doing 82 mph and flew off the tracks -- killing four people and injuring more than 70. There was the mess May 17 in Bridgeport, Conn., when an eastbound Metro-North train derailed at 74 mph and got clobbered 20 seconds later by a westbound train in an accident that seriously injured more than 50 people and knocked out service for several days. There was the accident May 28, when a maintenance worker was hit by a train in West Haven, Conn. And last week, a track worker was killed by a northbound Metro-North train in Harlem. Every accident has its own story. 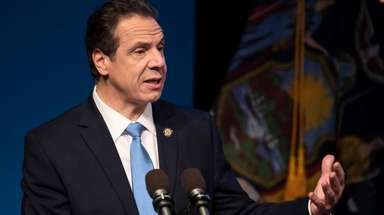 But the Federal Railroad Administration has released a report which finds -- in general -- that Metro-North has overemphasized on-time performance while tolerating an ineffective safety department, a poor "safety culture" and an ineffective training department. MTA Chairman Thomas Prendergast correctly says these corrosive attitudes didn't develop overnight. While Metro-North never explicitly decided to trade an enviable on-time record for a heightened safety risk, employees began to cut corners and risks began to grow. Compounding the problem were retirements. The railroad was formed in 1983, and many of its employees hit their 30-year mark last year and put in their papers. A large number of less experienced workers took their places. Fortunately, Joseph Giulietti, Metro-North's new chief, spent his formative years at the railroad and today has an explicit mandate from the top to focus on safety as well as punctuality. But what a nightmarish way to learn a lesson -- and what a cautionary tale for railroads everywhere.